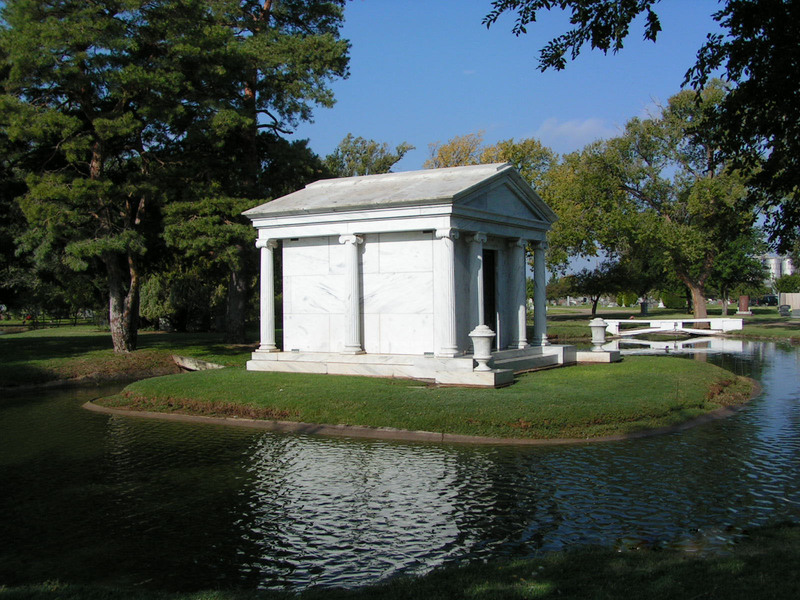 Memorial Weekend Events at Calumet Park Cemetery…. Hope to see you over the weekend. Be safe and enjoy the unofficial beginning of summer. Comments Off on Memorial Weekend Events at Calumet Park Cemetery…. 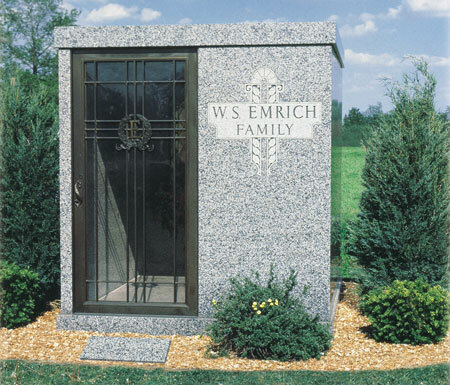 If you ever thought about having your own family mausoleum, call us. We are developing a new site within Calumet Park Cemetery that will have a pond, fountain, beautiful landscaping and lots for sale in the near future. This project may not fit everyone’s budget, but hey…everyone can’t afford to live in Ogden Dunes either. Yet, someone bought every house, big or small, in this lakeside community. 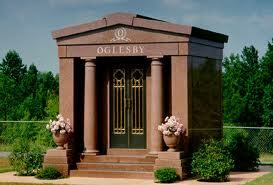 So, why not consider having your own private, luxury final resting place? 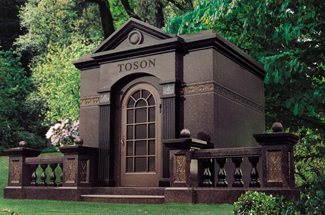 Design your own unique private mausoleum. Call 219-769-8803 for more information. A man-made pond has been excavated just south of the original mausoleum at Calumet Park Cemetery in Merrillville, Indiana. 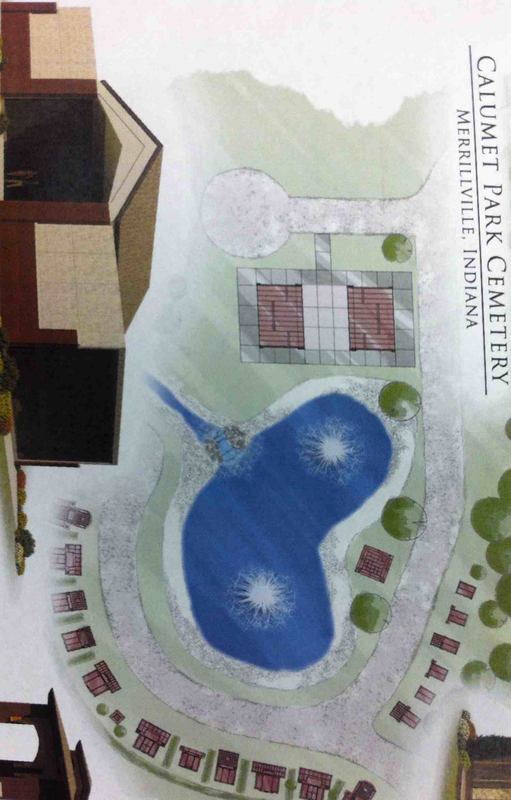 The development of a beautiful space to design a private mausoleum program is evolving as either one or two (as shown in artist’s rendition) fountains in the new pond will serve as the centerpiece of the new “neighborhood”. 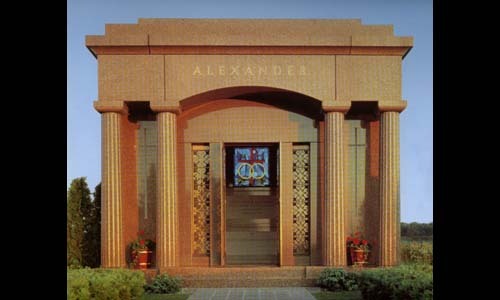 The west side of the development will have a tastefully designed community mausoleum. There will be niches for cremation and a paved and landscaped road that will offer access to the new development. 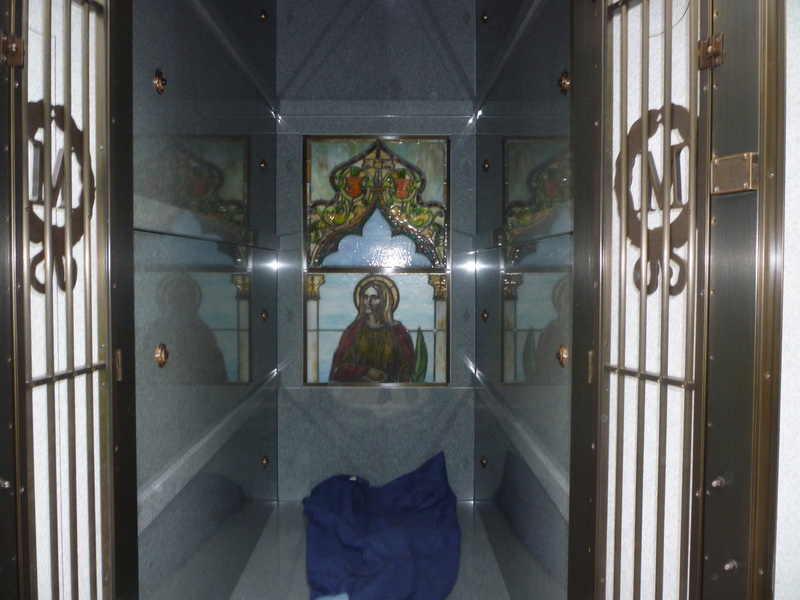 The community mausoleum will have an inside chapel for committal services or when visiting on inclement weather days. 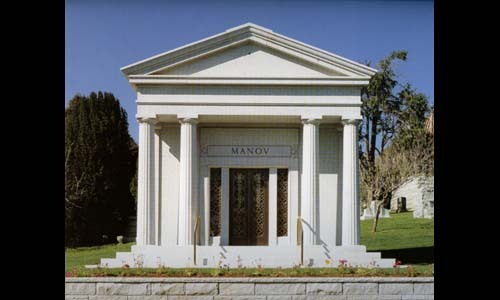 Each of the private mausoleums will be unique and be produced for the exact needs of each family wishing to set up this sort of estate. Below you may see some ideas for your very own final resting place that may trigger your thoughts on the possibilities. 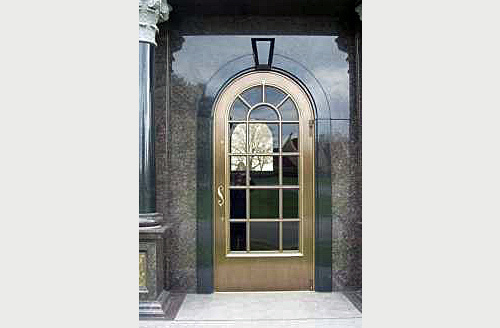 You will be able to choose from private mausoleums that already have already been produced or you may start from scratch and work with one of our specialists in coming up with a look that is just right for you. Get on our mailing list by emailing newsletter@calumetparkcemetery.com and in the subject portion of your email put add me to email list and in the message portion give us your name, address, zip and phone. We will update you on this and other projects as they develop. Call 219-769-8803 for more information!